The Vikan Microfibre range was specially developed to enable you to clean more effectively and control bacteria with less effort. Microfibre cloths and mops trap as much as 99.9% of bacteria and dirt, using only small amounts of water. In fact, it only takes 1.5 litres of water to clean a 250m2 floor with a Vikan Microfibre mop. Whether damp or dry, Vikan professional microfibre mops are very easy to use, enabling you to clean more floor space faster. A simple click system enables contact-free mop head changes and removal. This is particularly beneficial in hospitals and clinics. Vikan microfibre products are manufactured at our own facility in Estonia, so we are able to ensure consistently superior quality. All our microfibre products are designed to withstand heavy use, and we provide a 500x wash-and-use guarantee with most of our fabrics. 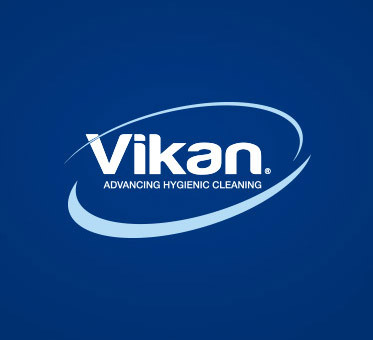 Peer Baech-Laursen, product manager for our Microfibre range, highlights some of the benefits of using Vikan Microfibre kits, mops, handles and frames. UCL Hospitals were looking for an effective way to remove bacteria, and settled on Vikan’s high-quality, ultra-efficient Microfibre range.